I was wallowing in self pity when the email came in from Enki II with devasting news. 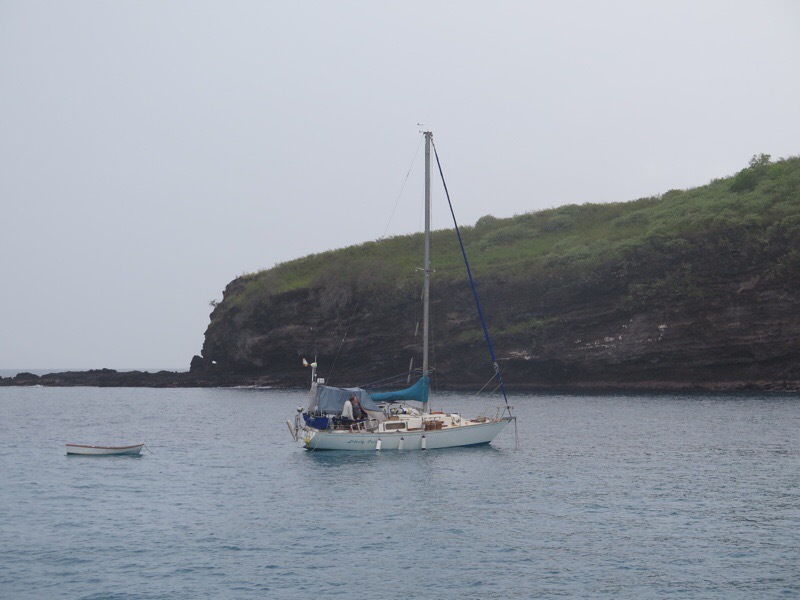 Our single-hander friend Tim lost his boat Liberty Call on the rocks in Vava’u, Tonga, at the end of a hellish passage. Tim had to abandon ship in the dark of night and somehow managed to swim ashore in pounding seas with his important papers and his computers and spent a long stormy night sheltered in the rocks at the base of a cliff, watching his boat sink. The next morning he caught the attention of a dive boat and was rescued and taken into port where the cruising boats took him in and are caring for him. We’re so glad he’s safe and so sad that his journey ends this way. 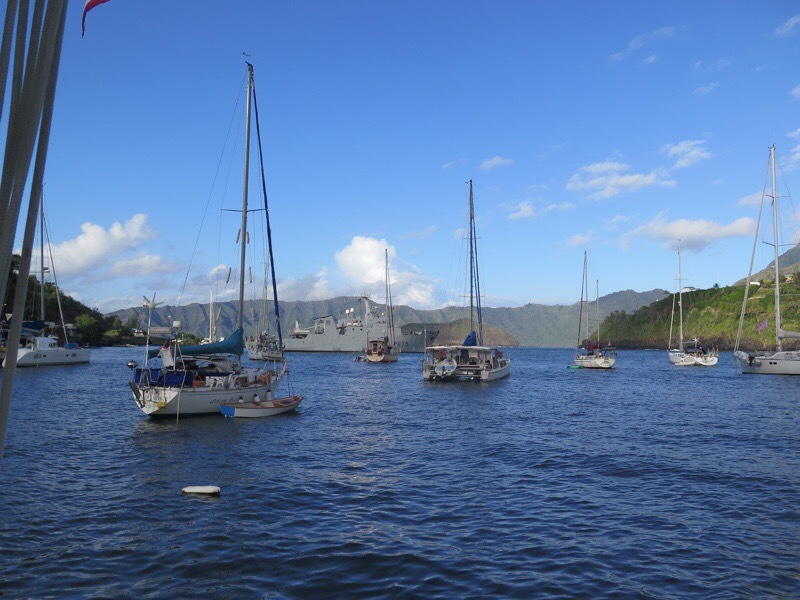 Liberty Call in Fatu Hiva. 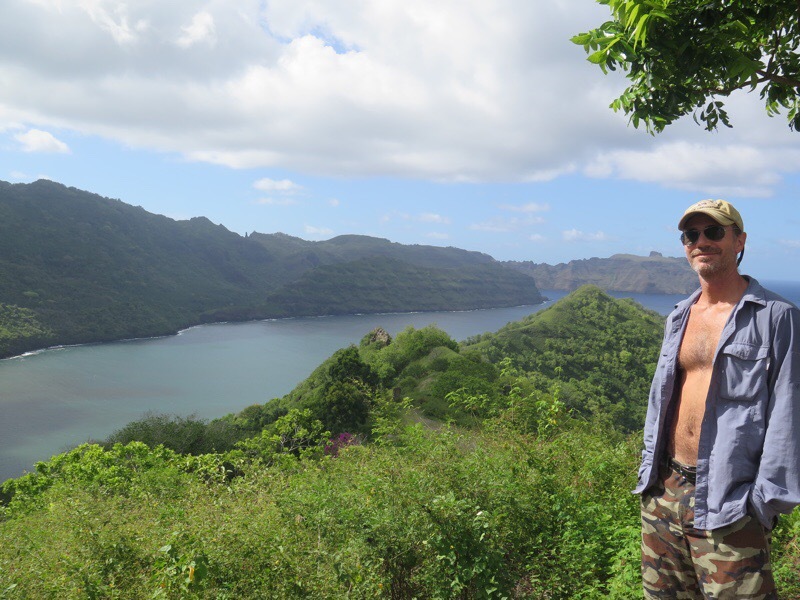 We met Tim when he sailed into the magical Bay of Virgins in Fatu Hiva 12 hours after us back in April and the bond we formed with that experience grew deeper as Escape Velocity and Liberty Call shared other beautiful anchorages. 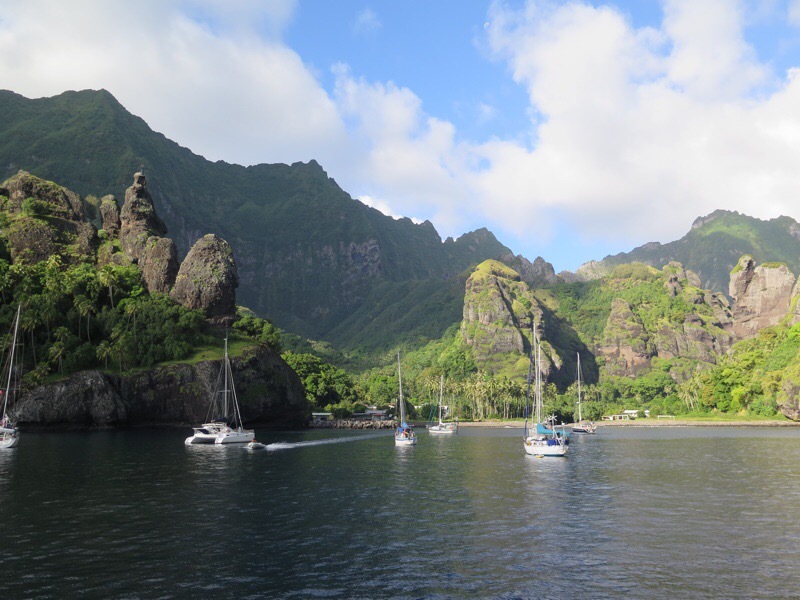 So many of our best memories of French Polynesia include Tim and the sight of Liberty Call anchored nearby. We were also delighted to meet Tim’s partner Andra when she visited and we think they’re made for each other. 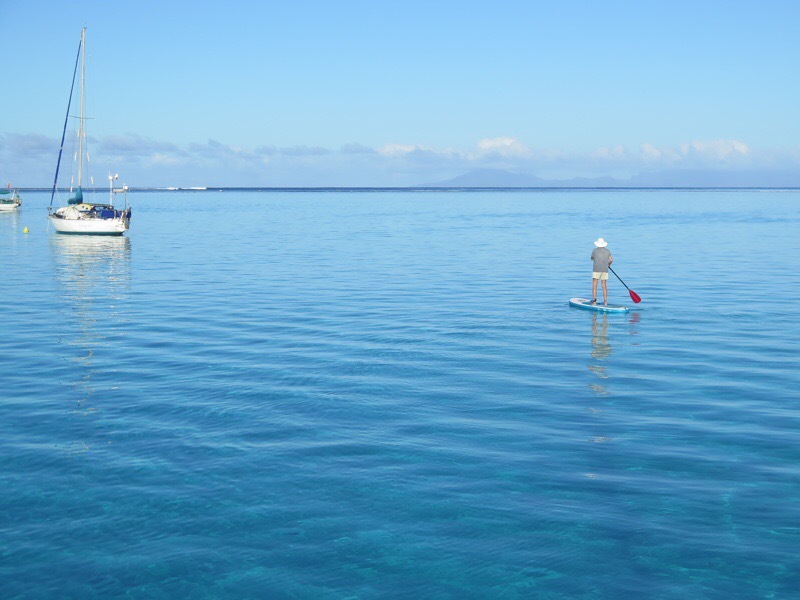 We waved goodbye in Bora Bora as Tim sailed toward Tonga and we fully expected to meet up with him in a few weeks’ time. But Life often has different plans and here we are, Tim without a boat, me without a functioning back, and diminishing prospects of crossing paths again any time soon. Still, we’re so glad he’s safe, and we wish him well wherever his next adventure takes him. Makes me tear up. Glad he is OK.
hmmm….wonder if it’s possible for him to meet with Jack and crew with him, while you fly ahead….of course, I have NO idea of locations and how feasible any of this is….but maybe it’s fate?